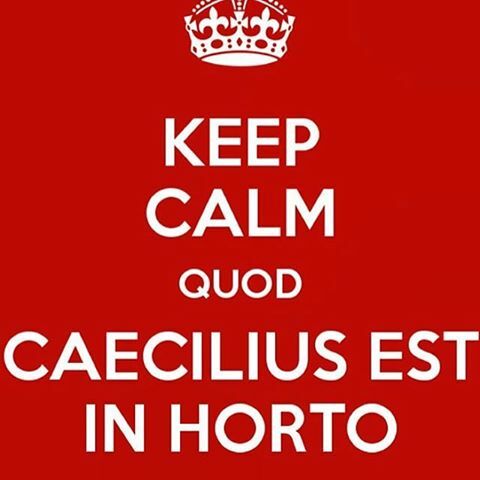 Latin I is an exciting and highly rewarding class that offers students a chance to learn the Latin language and read about the Roman civilization, all while enhancing reading & analytical skills. Students are introduced to the Caecilius family, residents of Pompeii at a time just before the eruption of Mount Vesuvius. By following these characters’ adventures, students will learn to communicate in the Latin language, read and translate Latin stories, and become acquainted with the Roman world – history, literature, mythology, politics, daily life, etc. You will need to bring your Ipad, something to write with and something to write on, and something to keep your notes in. Latin-English Dictionaries are not necessary for this class. This is your responsibility. You get 1 day to do make-up work for each day in class that you missed. If you miss my class but are present for any other classes/activities, then you are still responsible for properly submitting any assignments to me that were due on that day before you leave or by the end of the day. For school-related absences, make arrangements BEFORE the absence and turn in work/take exams the same day you return to school. WHS has a very active Latin Club. The dues are $20.00 and cover membership in the local JCL chapter, the Texas State JCL, and the National JCL, as well as the cost of the National Latin Exam that will be administered in March. Latin Club gives students an opportunity to lead as well as participate in various activities such as: a Latin Club banquet, Blazer Tag tournament, the Area F competition (February 22-23, St. Andrew's Episcopal Upper School ), State Convention (TBD), and National Convention (July 26-July 31, North Dakota State, Fargo, ND), various Certamen tournaments throughout the year, and any other activities students may want to try out (within reason). Every Latin student is highly encouraged to join the Latin Club and participate in the extracurricular activities of the Junior Classical League, but membership is voluntary.